Europe's "motorways" are the fast roads. Many of them are paid for through tolls extracted as you drive. Every so often in Italy or France, you'll stop and either get a ticket to commence your journey on the autostrada or autoroute or you'll pay the tolls accumulated in riding on it. In Germany, the autobahn is free of tolls, although a German bill has been passed that threatens to charge foreigners for using the road. But traveling on these roads in Austria and Switzerland requires a "Vignette" or sticker you affix to your windshield in the appropriate place so that authorities can view if you have paid for one. These stickers record that you have paid the road tax that allows you to ride on the motorways. In Austria, tourists can buy a vignette good for ten days. Currently, this ten-day sticker costs € 9. You can also purchase them for durations of two months (€ 26,20) or one year (€ 87,30). The sticker is designed so that you cannot remove and reattach it. You must purchase a sticker and affix it to the spot designated on the back of the vignette, either on the upper left of the windshield or in the center below the attachment point of the rear-view mirror on the inside of the windshield. If the top of the windshield is tinted to prevent the entrance of sunlight, the vignette must be attached below the tinted area so it can be seen clearly. A motorcycle also needs a vignette. Where Do I Buy a Vignette in Austria? You can purchase a Vignette in border countries at gas stations, tobacco stores ("Tabaktrafik"), and motorway rest stops before reaching Austria. You can purchase one at border crossings if there is a border station, but the safe thing to do if you are outside Austria is to purchase your vignette well before you reach it—at least 10km from the border. You see, there are traps set up so that when you get on the ramp and can't turn around, you've gone too far and won't be permitted to purchase a vignette and will be subject to the fine. The fine called a "special tax" is currently 240 Euros. It is payable on the spot, otherwise, special proceedings ensue and the fine increases. Be sure you get a vignette before entering Austria via the autobahn. 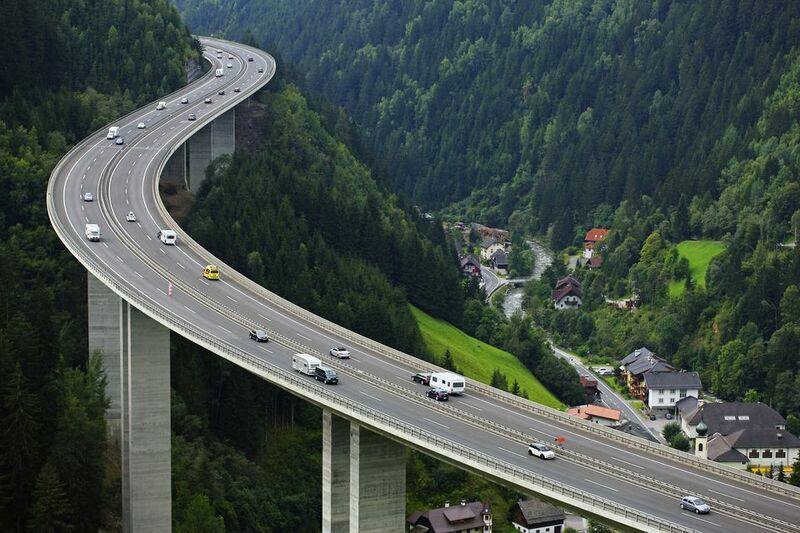 There are other roads and passes in Austria that require the payment of a toll at a toll booth. Many of these are through tunnels, so you'll be stopped before the tunnel to pay the toll.